Everyone knows the country Cuba as communist and rebellious where leaders like the brothers Fidel and Raul hold sway. It made mighty United States furious and so difficult during the Cuba crisis that it has been under a heavy embargo for 50 years. Maybe you know it as a tourist attraction where white beaches with an azure sea, waving palm trees around resorts can be found in cities like Varadero. Finally, products such as the cigar, rum, classic American cars from the 1950s and Cuban women and the salsa-dance are world-famous. But what occured to me the most is the fact that the local people would live completely separate from the tourists. This country could change if Fidel Castro would die. Now MacDonalds, Coca Cola and Mars are still far away which makes it all a lot more interesting. 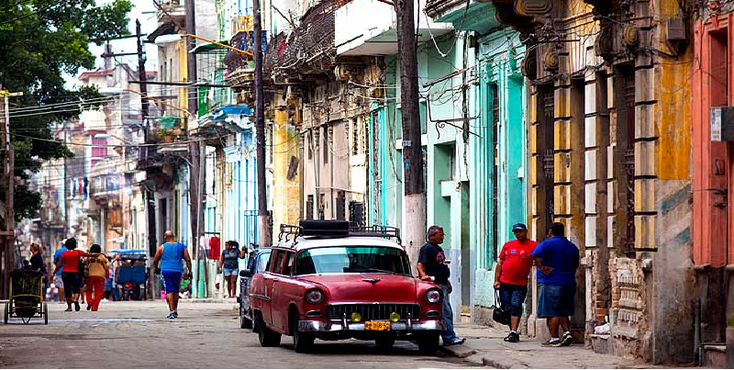 Cuba is an island of extremes; money is the problem and everyone has plenty of time. Things that are very normal for us are a prosperity product here. There are long lines with people waiting for shops and banks and people are overjoyed when they can sit in the back of a truck in some places to get from A to B. Milk, yoghurt, chocolate, cow meat, (olive) oil and, for example, coffee are expensive and very difficult to get. Ice cream, pizza and delicious freshly squeezed juices are very normal for lunch in Cuba. 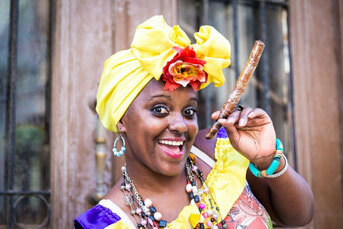 Cigars from Havana are indeed world famous, but there are only a few who pick up a cigar. The salaries of people here are so low that they all have to do something next to their regular job order to get their monthly income that is sufficient for a normal life. Wanderers, drug users, mountains of waste, people with scary diseases, corruption and crime have been banned by the communist system and as good as the entire population can read and write. The population of Cuba is a mix of Spanish settlers and former black slaves that have been brought to the island for work. Over the years they mixed. Everyone speaks Spanish and English is only reserved for the better literate. 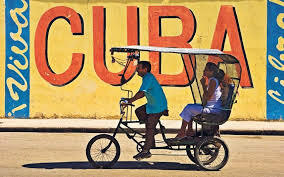 You can indeed make your trip through Cuba completely separate from the locals; but it is much fairer, more fun, more instructive and more interesting to travel in the local truck, to pay in Cuban peso (instead of the expensive CUC) and to sleep in casa particulares. It is also possible to order in a local bar, rum or beer and eat in local restaurants (paladares), if you do your best. People will certainly appreciate it. On the street you can always start a conversation about the embargo of the United States and you never have to be afraid to be robbed. The people are friendly, helpful even though you always have to be careful that they do not ask for money after their "help". Not surprising if you know that the money you spend on a number of beers is a monthly wage. In addition to the people, Cuba is a country where everything can be done and seen; beautiful colonial buildings from the Spanish time, cozy squares and parks where you can watch people on a bench for hours, busy streets where you can see people through small shutters, gates and windows and interesting museums about the invasion of the Bay of Pigs. , the Revolutions, the slave trade and of course about the Argentine Revolutionary hero Ernesto Che Guevara. You can hike in the mountains where Fidel Castro and his rebels once built their headquarters and reside in a remote "campismo" where, if you succeed, you will be invited by local visitors to drink a glass of rum together with them. If you want to visit the real Cuba, which feels like you are going back in time for decades, do it NOW!